Cellotape has the ability to place RFID transponders under pre-printed labels. This technology works with transponders in accordance with ISO specifications, in widths from 10 mm to 160 mm. 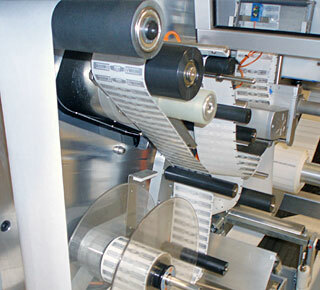 Pre-printed labels with widths from 10 mm to 160 mm can be applied at rates from 5,000 to 20,000 labels per hour. On-board RFID readers ensure the readability of each RFID tag before and after integration, and an automatic control system keeps transponders and printed labels in register. Using only one vendor to print your labels and insert your transponders allows for a cost-effective RFID solution.